Conductors - Redland City Bands Inc.Redland City Bands Inc.
Peter is a graduate from both the Queensland Conservatorium of Music and the University of Southern Queensland with a Diploma of Music and a Graduate Diploma of Further Education and Training respectively. Peter has studied conducting with Jerry Nowak and attended master classes with the late Professor Robert Rosen, James Croft, Tim Lautsenhauser, James Curnow and many others. Peter began his teaching career in 1985 with education Queensland and since then has worked in a number of schools as a multi instrumental music teacher and a classroom music teacher. Peter also spent a number of years working as an education consultant for the Australian Academy of Music and during this time he was the founder and directly set up the first sixteen Adult starters bands. Peter has had a very high involvement in community music having been the founding conductor of the Cleveland Symphony Orchestra, served as the conductor of the Redland Shire bands as well as his work with Adult Starters and for thirteen years was the conductor of the Queensland Youth Orchestra Wind Symphony. Peter was also the founding conductor of the QYO Big band. In 2017 peter was awarded life membership of the Queensland Youth Orchestras. Whilst he was conducting QYO Wind Symphony Peter received recognition for his conducting having been the recipient of three Sunny awards from the Queensland Recording Industry for the best classical recordings for 3 CD’s he recorded with Wind Symphony. For a number of years Peter was also a part time lecturer at the Queensland Conservatorium of music in the graduate program where he taught Multi Instrumental fundamentals. Peter has also been a conducting clinician for ABODA and the Singapore Band Directors association running master classes in conducting for both Queensland and Singapore teachers. Peter has also taught conducting to a number of private students. In Dec 2004 Peter was the conductor of the Singapore Band Directors association cluster band festival honors band in their performance at Singapore’s Victoria Concert Hall. In 2005 he was appointed to the position of Director of Music at Iona College. During his time in that position Iona College grew to a program with over 500 boys playing music in 26 large performance ensembles and many chamber groups. At Iona Peter led three international tours, four to Singapore and the other two to New Zealand. Peter is in demand as a guest conductor and clinician having twice been a conductor of the Education Queensland “Most” program for outstanding students. He was also invited to be a guest conductor of the Birmingham symphonic winds (UK) and for the 7 years was the concert band conductor at the annual Mulkadee cross arts festival in Townsville. As an adjudicator he has worked at The Gold Coast Eisteddfod, the Redlands Eisteddfod, the Sunshine Coast Junior Eisteddfod, the Barrier Reef Festival, the Sydney Festival and the Brisbane Eisteddfod as well as Prestige Music Fest. Peter is also a staff member of the Sound Thinking Summer School where he teaches in the Instrumental program for woodwind and brass students. In 2019 Peter has been invited to take on the position of Brass Teacher and conductor of the Wind Orchestra at Mansfield State High School. This is a school of excellence in both Classroom and Instrumental Music. 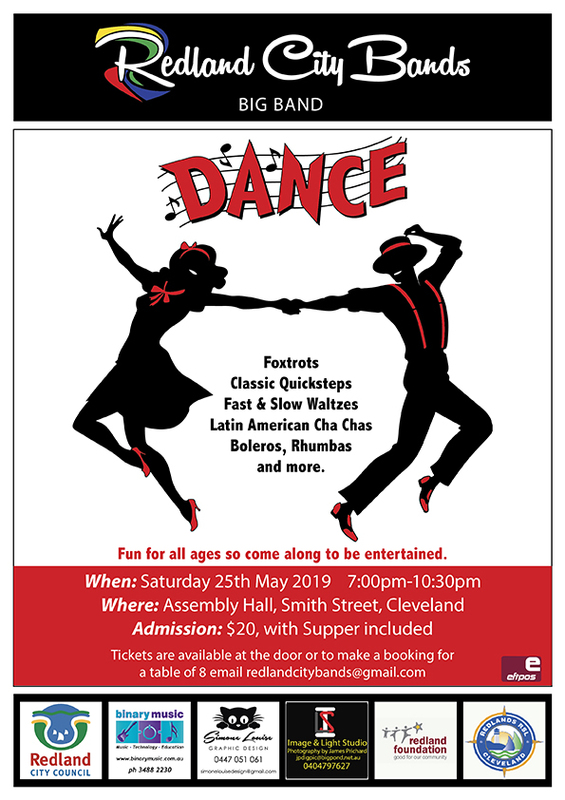 Peter is also the musical Director of Redland City Bands and conductor of the Redland City Concert Band. Louise grew up in the Redlands area, beginning her musical journey on Clarinet at the age of 9. Not long after starting on the Clarinet, she joined the Redland City Bands Beginner Band and over the years has progressed up through to Wind Ensemble, Concert Band and Big Band. Louise’s enthusiasm for music and performance continued through high school and has become her career choice. 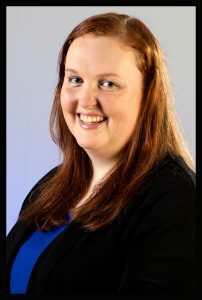 Louise graduated with a Bachelor of Music (Clarinet performance) and Graduate Diploma in Education (Senior years) from the Queensland University of Technology. During her time at QUT, Louise developed a passion for conducting. This was fostered through the Redland City Bands with Louise becoming the assistant conductor of the Wind Ensemble in 2011. Louise has further developed her skills through participation in master classes with Jerry Nowak, Tim Reynish, John Lynch, Rob McWilliams, and many others. In addition to her Bachelor degree, Louise has additionally undertaken a Masters of Music at the University of Queensland, from which she graduated in 2017. Whilst completing her Masters degree, Louise studied Conducting with Warwick Potter and Composition with Robert Davidson. In 2018, Louise has stepped up from her Assistant Conductor role to become the Conductor of the Wind Ensemble. Louise is very much looking forward to taking on the responsibility of directing the Wind Ensemble, and would like to thank Allen Clark for his excellent direction and mentoring over the past years. In addition to her conducting role at Redland City Bands, Louise is a Multi Instrumental Music teacher at local Primary and Secondary schools and performs regularly with the Queensland Wind Orchestra, as well as with the Redland City Band Concert Band. Allen commenced his playing career on Baritone with the Invermay Silver Band in Launceston, Tasmania, at the age of ten, before progressing to Principle Euphonium at the age of sixteen. Ten years later Allen took over as conductor of the band and by this stage Allen had been adjudged Tasmanian Euphonium champion on two occasions. Allen then set about improving the standard of the band and was successful in taking the band from C grade to B grade during his nine-year term as conductor. During this time Allen was appointed to the Musical Advisory Board of the Tasmanian Bands League for a one year tenure. Shortly after taking over as conductor, Allen completed a one-year preparatory course on music performance at the University of Tasmania, followed by the completion of a conducting unit at the University under the guidance of Monte Mumford. Allen also joined the University’s Concert Band, under the direction of Monte, where he played Euphonium during its transition into the highly acclaimed University of Tasmania Wind Orchestra as well as taking on the role of Administrator for three years while membership grew to 200. 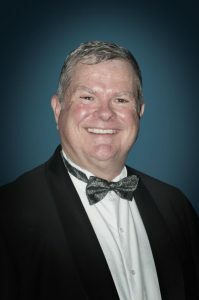 Allen was appointed assistant Conductor of the Wind Orchestra in 1994 and continued in this role until re-locating to Queensland in 1999. During this time, as a member of the Australian Band and Orchestra Directors Association (ABODA), Allen attended a number of conducting clinics both in Tasmania and Victoria, with prominent wind band directors from the USA, the United Kingdom and Australia, as guest clinicians. In 2000, Allen joined Brisbane Excelsior Brass Band and played Euphonium, Baritone and Tenor Horn with the band during its rise to No 1 ranking in Australia. This playing experience under the direction of Howard Taylor, and among a number of Australia’s finest brass players, has inspired Allen to continue to pursue new heights in both his playing ability and conducting skills. A conducting highlight for Allen during this time was to conduct the winning ensemble from the band in the Open Ensemble section at the National Band Championship in 2004. From 2005 through to 2017 Allen was the Conductor of the Wind Ensemble of Redland City Bands. During this time Allen led the Ensemble to first place in all categories of the 2014 D Grade section of the Australian National Band Championships. Allen stepped down from Conductor at the end of 2017 to allow Louise McGill to take up the role, but remains as both a player and assistant conductor. Allen is also the Drum Major for the Redland City Bands. Although heavily involved in community music for many years, Allen’s professional career path has been in Accounting. Allen is Financial Controller for the Queensland site of the largest offset printing company in Australia, PMP Limited. 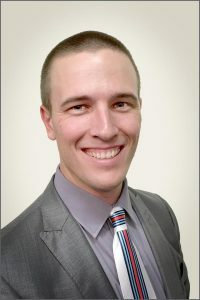 Allen is a member of the Institute of Chartered Accountants in Australia, has a Bachelor of Business Degree and completed his MBA prior to moving to Queensland, at which time he was awarded the Owen McCarthy medal for highest academic achievement. Reece started his musical career at Primary School, learning first the Alto Saxophone and then the clarinet. He became aware of the then Redlands Shire Bands at a music camp that the bands ran and decided to join the Beginners Band. Because of his natural talent he quickly progressed through the ranks to play in the Wind Ensemble, Concert Band and Big Band. He continued his involvement in music by enrolling at the Queensland Conservatory (Conducting) although he has currently put his studies on hold. Reece is a long-standing member of the Redland City Bands and is an accomplished musician and conductor within the organisation. after Beginner Band on Tuesday nights. Thanks to Reece this group of players have greatly improved their musical skills and solo playing. 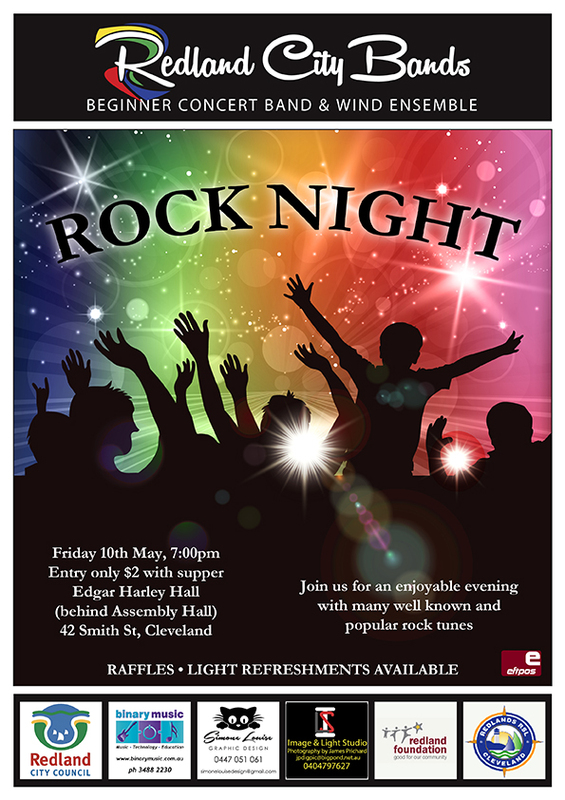 Reece also instigated an annual Beginner Band Solo Night held in the Band rehearsal room where each of his band members are given the opportunity to play music of their own choice in front of an audience and a sympathetic adjudication panel. This experience and the written comments given to the players at the end of their performance encourage their musical development. The passion Reece has for music and the enjoyment he gains from encouraging others, in particular those starting out on a musical journey, irrespective of age, is very obvious and he has an innate ability to transfer this passion to individuals and his bands as a whole. 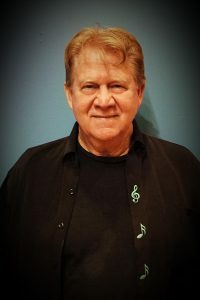 Allan is an accomplished, multi-award winning Musical Director and Educator with over thirty years of experience in mentoring students, ranging from school students to A Grade professionals, nurturing their passion for music and developing their ability to facilitate high quality performances. He gained his Bachelor of Education in Instrumental Music Education at the University of Southern Queensland in 1992. Allan joined the Redland City Bands in 2017 to become an inspiring Conductor of the Big Band and has proficiently led his members at regular Dance Nights and Jazz Festivals. He has applied his creativity and innovation to achieve a shared and consistent commitment for musical excellence from his players. Since 1977 he has been an Instrumental Music Teacher and Band Director with Education Queensland assisting students of all backgrounds to participate in orchestras, concert bands, stage band or other chamber ensembles. His achievements include being the Director of the Benowa High School Band at Expo celebrations and at the opening of Sanctuary Cove performing for Frank Sinatra and Whitney Houston. Many of his past students, including our own Musical Director and Concert Band Conductor Peter Francis, have established success in the Arts Industry. Allan was a musician in the Australian Defence Force from 1970 to 1977 and for the Southern Televison Corporation for the Humphrey B Bear Show from 1985 to 2001. Under Allan’s direction the Bray Park State School Band achieved a Platinum Award at the Festival of Music in 2012 and the Nambour Brass Band were C Grade Champions at the Sunshine Coast in 2010. In 1999 Allan was Musical Director for Brian Cahill and the Queensland Musical Theatre 10th Anniversary. Allan was a Founding Conductor to the Sunshine Coast Concert Band and was awarded Life Membership in 1991. In 1993 in the absence of the founding conductor he was the Director of the Brisbane Symphonic Band. Allan has Affiliations with the Australian Band & Orchestra Directors’ Association, the Westerb Suburbs Music Association, the Sunshine Coast Retired Ex Armed Musicians, the Nambour Brass Band, the Brisbane Arts Theatre and the Together Union. Allan’s leadership and mentoring provides expert guidance for each band member to perform at their best and he is indeed an asset to our organisation.